PHL Collective believes that creative success starts with rapid prototyping and iteration. Creating small, proof-of-concept "sketches" for games is not only the idea behind the popular Game Jam movement, but a way to experiment with new and interesting game mechanics. Since its inception, the studio has developed numerous prototypes and short game concepts during the creative process, a small selection of which are displayed here. The idea behind Bro Boys was to create a game for theme of "Brotherly Love," a phrase most commonly associated with the studio's home town of Philadelphia. In this 2-player co-op action fighter, two bros, Brad and Chad, make their way through the streets of Philly, using the power of friendship to convert sad, lonely businessmen into fellow chill bros. The game features a 3D environment, covering of some of Philadelphia's most famous landmarks, as well as smooth fighting controls with combos and cooperative power moves, and several boss fights. Noodle Arm Royale was built for a Philadelphia event called NotAtSXSW as an experiment for the Microsft Kinect. 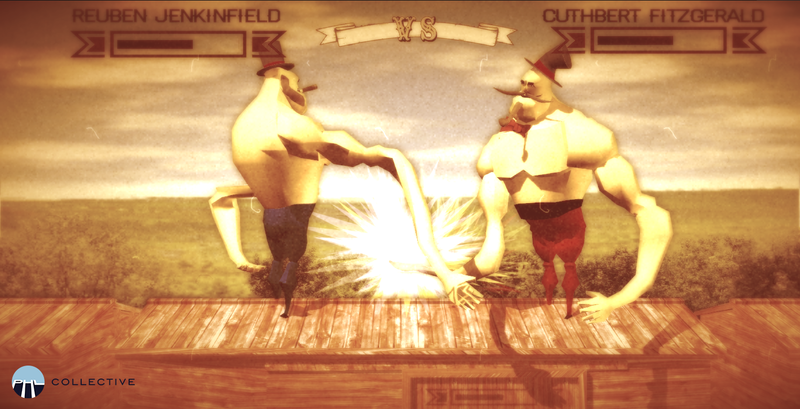 Two players stand in front of the Kinect and use their bodies to control two old-timey boxers as they have a battle royale atop a moving traincar, however their arms are long and noodley, and the only attacks are in the form of slap-fighting. The result is an old-fashioned slap battle, forcing players to wildly waggle their arms to defeat their opponent. The game was a hit at the event, and was later brought to PAX East in Boston, where it was showcased to hundreds of players on the convention floor. 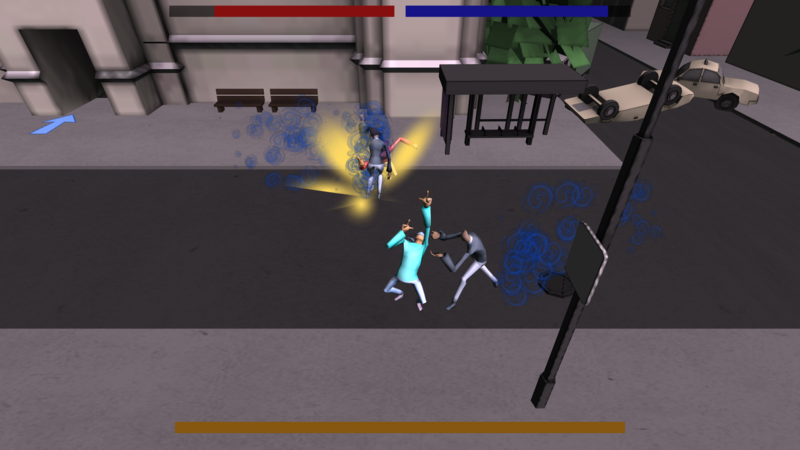 PHL Collective has often found success in the world of competitve local multiplayer games, and Real Boxing: Actual Boxing is no exception to that. Built in a few days for a local multiplayer gaming event at the former Locust Moon Comics in West Philadelphia, Real Boxing is a quirky mix of volleyball and dodgeball, which pits 2 teams against each other to throw cardboard boxes over a wall, attempting to squash their opponents. The game features fast-paced gameplay unique graphics, where every piece has been drawn with marker onto real cardboard, and then photographed and brought into the game to create an all-cardboard world. It truly is real boxing.